We specialize in making keys for cars, trucks, motorcycles, scooters, boats, RVs, golf carts, tractors, heavy equipment, etc. If it moves we work on the locks and keys. We program transponder keys and remotes to most vehicles. Some vehicles must be programmed by the dealer. We have special equipment to clone and/or program transponder keys to most cars, trucks, motorcycles and scooters made in the USA or ASIA and some vehicles made in Europe. If the remote for your car has stopped working it may have a dead battery. The first thing you want to do is replace the battery. If this does not work your remote may need to be synchronized. We stock batteries for most car remotes. We can synchronize or program most remotes using programming instructions or diagnostic equipment. A transponder or RFID device is a passive electronic device. You will find one embedded in the head of most new car keys. Most places that make keys are not able to copy keys for newer cars and trucks. 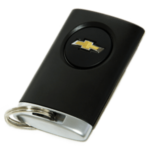 We specialize in keys, remotes, and remote head keys for most vehicles. We often have more information than the dealer who sold the car. Is your Lexus Key broken? We stock replacement shells for most Lexus models. We can duplicate your key on to a new shell key and install your push button module in to our shell for about one fifth the price of a replacement key. 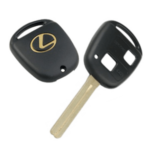 We also sell complete Lexus remote head keys as well as remotes, remote head keys, and replacement shells for most makes and models. We understand that keys for modern cars are expensive. We do our best to reduce the cost to the customer whenever possible. Our cost for many of the key blanks, especially remote head keys, and the necessary programming equipment, often makes it difficult or impossible for us to offer a substantial savings over the dealer. In those cases we offer convenience. In most cases, we offer service while you wait instead of asking you to leave your car with us for an extended period of time. We offer the convenience of being able to purchase keys to most cars, trucks, motorcycles, scooters, boats, RVs, homes, padlocks, mailboxes, desks, file cabinets, etc., in one place. 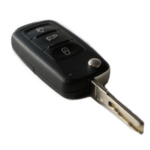 We offer as many brands and styles of car keys, transponder keys, remote head keys, and remotes as possible. We are always looking for new suppliers, new information, and more affordable options to allow us to serve the needs of our customers more effectively. We sell factory remote head and transponder keys. We also sell generic and clone keys when we can find a quality product from a reliable supplier. Although there are low priced keys on the market many of them have problems that will make it difficult or impossible to work correctly. For example, we have found that Lexus shells purchased on the internet often contain materials that will destroy the cutter on our duplicating machine. For this reason, we are very reluctant to cut customer supplied keys. We have found that many internet sellers will offer low cost keys for cars that must be programmed by the dealer. They often suggest that the customer finds a locksmith to cut and program these keys. It is very important to start with the right key. Purchasing a low cost key may or may not save you money. We can often provide clone keys for a lower price than what you will pay to have us cut and program a key you purchased online. Please contact us before you purchase a transponder or remote head key from anyone else. We may be able to save you time and money.